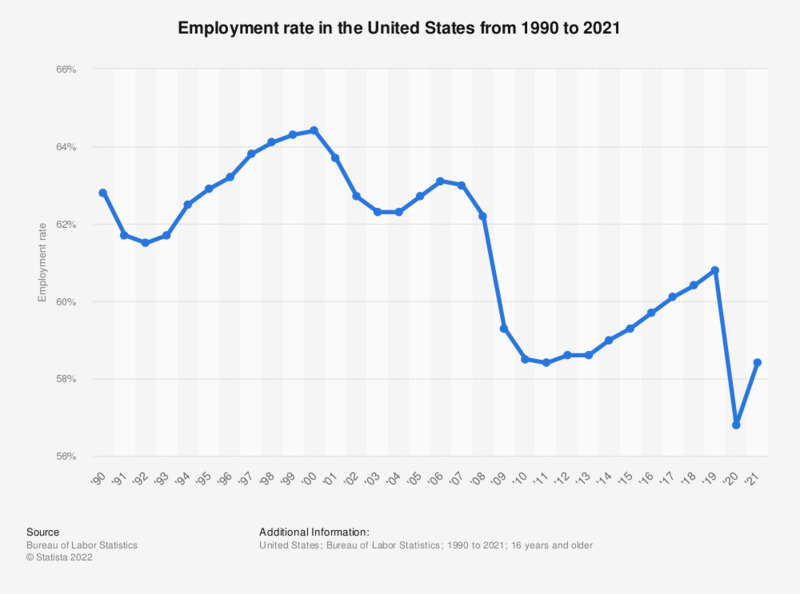 This statistic shows the employment rate in the United States. Employed persons consist of: persons who did any work for pay or profit during the survey reference week; persons who did at least 15 hours of unpaid work in a family-operated enterprise; and persons who were temporarily absent from their regular jobs because of illness, vacation, bad weather, industrial dispute, or various personal reasons. The employment-population ratio represents the proportion of the civilian non-institutional population that is employed. In 2018, the U.S. employment rate stood at 60.4 percent.